High Roller, the worlds largest observation wheel was named the 2014 “World’s Coolest New Tourist Attraction” by Travel and Leisure. 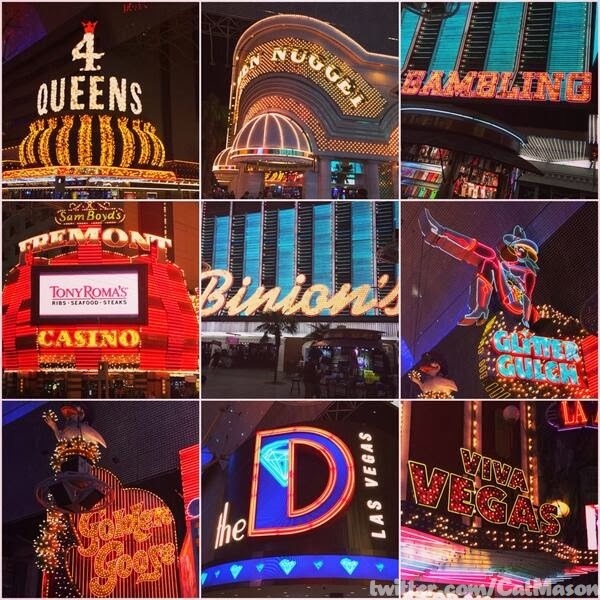 This week’s winner is @CatMason for her collage of Fremont St Signage. Its been well documented what a freak I am about signage. She didn’t include all the properties on Fremont St or all the iconic signage but who could. The whole place is virtually a collection of individual signs merging together like Voltron to make one giant sign. 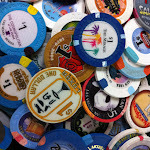 4 Queens, Golden Nugget Binion’s, Fremont and the D are all featured as well as a few other icons like glitter gulch and Vegas Vicki. It almost looks like the kind of picture you would see in a brochure advertising Fremont minus the smiling monkeys. It’s a cool photo and now it has me fired up to go to Fremont st the next time we are in Vegas.